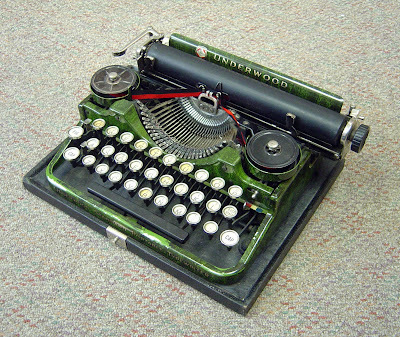 The Written Word: Meet "Woody!" You almost need a second machine alongside - just to show how tiny these things are. I especially like the catch on the outside of the case. Makes me feel special every time I open it. I'll have to post a photo of this thing next to my Royal 10 or something like that. Go Matt! Go Woody! Glad you like him.